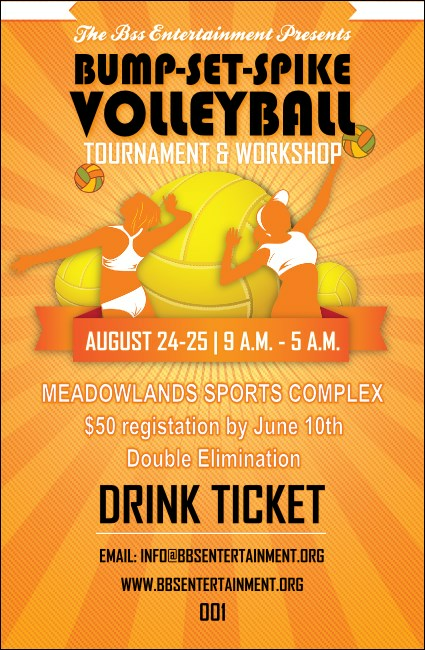 Take the right approach to your next sports event and serve your guests with colorful Volleyball Sun Rays Drink Tickets. These tickets feature a bright orange background design and include the image of two players ready to spike the ball over the net and score a big point for their team. TicketPrinting.com helps your event shine.